Pro-Line Pro-Spec Scaler Shocks feature CNC machined Aluminum Shock Caps, Collars, Bodies, Bottom Caps and Hard Chrome Coated Steel Shock Shafts all made to exacting tolerances. 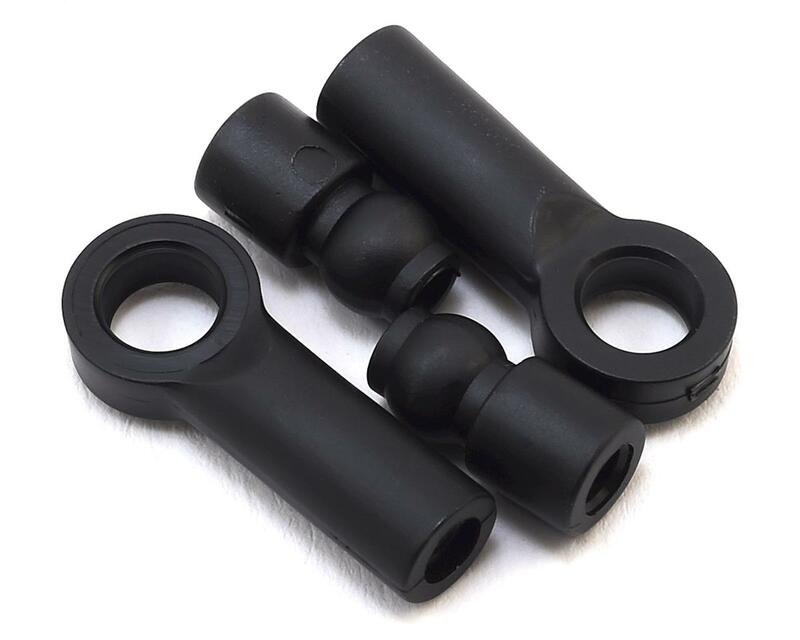 X-Ring seals are used as the main shaft seal for smooth, low friction action and to prevent leaks. 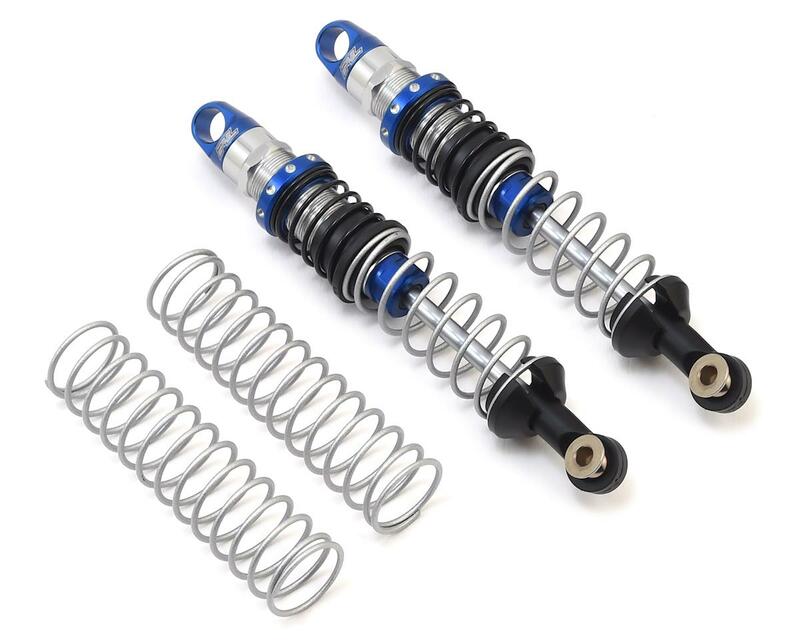 Just like Pro-Line’s other Pro-Spec Shocks, the Scaler variant will stand out from the rest with bright Chrome and Blue anodizing. 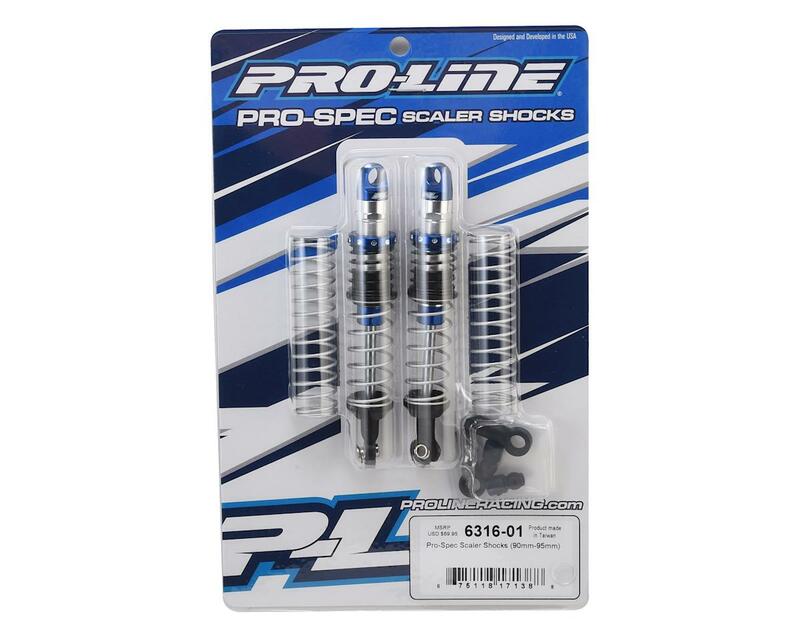 From the top mounting hole to the bottom mounting hole these Pro-Spec Scaler Shocks measure out to be 90mm at full extended length and collapse down to about 64mm and they include extra 5mm longer Shock Ends to increase the shock length! These short shocks are perfect for super scale rigs! Just like Pro-Line’s extremely popular PowerStroke Shocks, the Pro-Spec Scaler Shocks come mostly pre-built (just add oil) and are designed to fit on many popular crawler vehicles. Wow is all i should say! These perform and look awesome. Better then the incision VP shocks by far. Vp doesn't come close to these! Shocks look great on the vehicle. One of them had a stiff spot and I had to file the piston to make it smooth. After that it worked ok. Will leave another review after crawling competition.